I've been researching different game engines to use with our teaching next year. Of the many engines gameplay3D stood out for a number of reasons. 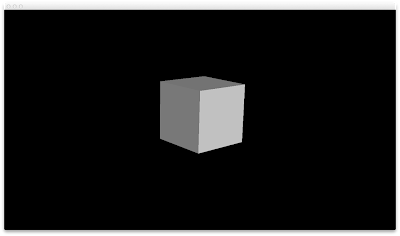 This blog post is going to talk about the basic setup under mac osx and how to start a basic project, In this case I'm going to use xcode, however I do also have a basic qt creator project as well which I may do in another blog post. 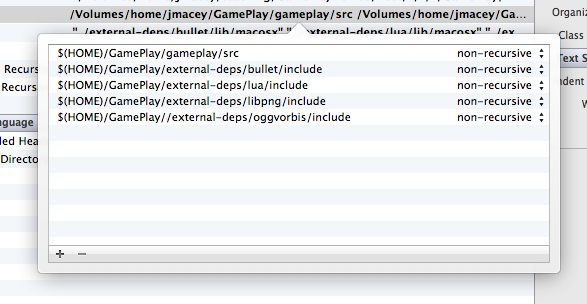 This may take a while but once it is done you should have a new directory called $(HOME)/GamePlay. Now we have to download the external dependancies. This is done via a script called install.sh Change into the GamePlay directory and run this script. 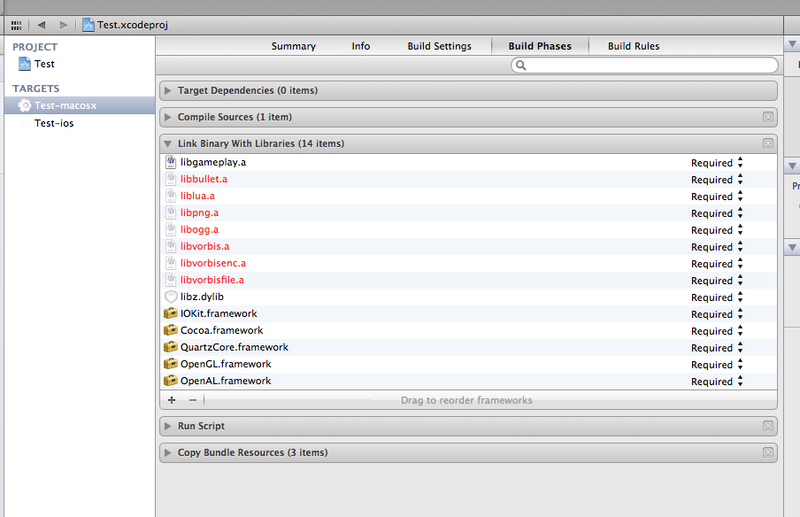 This will take a while as it is quite a large file but it will download pre-built libs for all the platforms. 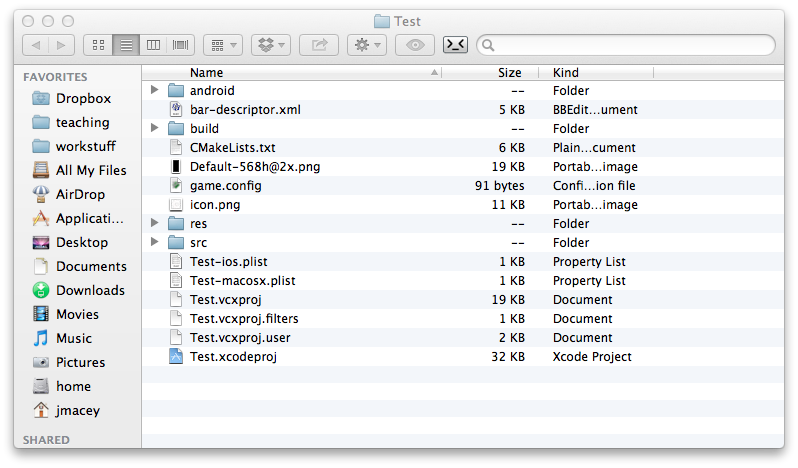 Under mac osx these are built as 32bit static libs and may cause problems if you wish to link against other 64bit libs and I will do another blog post at a later date on how to build and link your own 64 bit version of the library but it is quite an involved process. In most cases the 32bit pre-built lib will be fine. 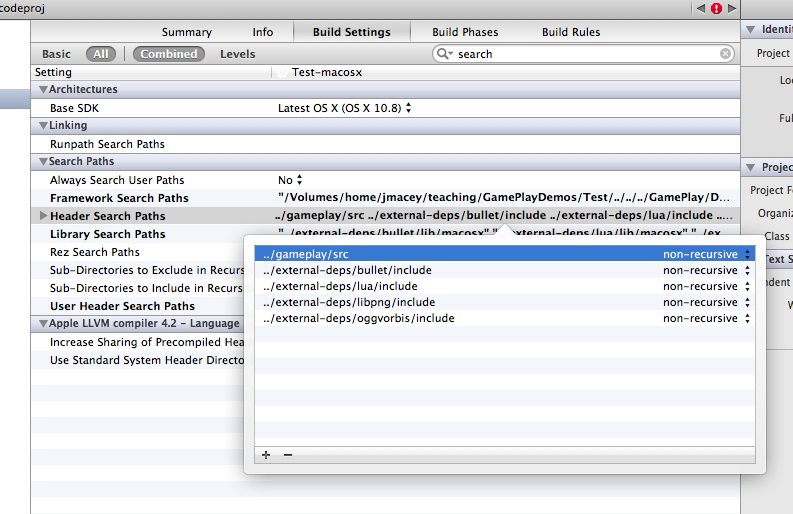 Now we can open the xcode workspace (gameplay.xcworkspace) and configure and build the main gameplay static library. Now we can build the library and the final lib should be placed in the directory GamePlay/DerivedData/gameplay/Build/Products/Debug. 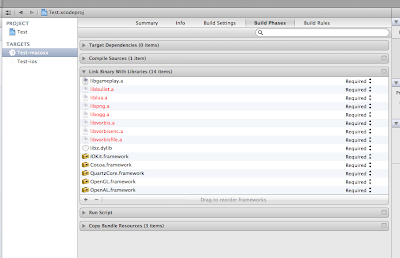 This actually builds a mac framework that we can copy into some other directory to use in our own projects. However for now we will leave it as it is. 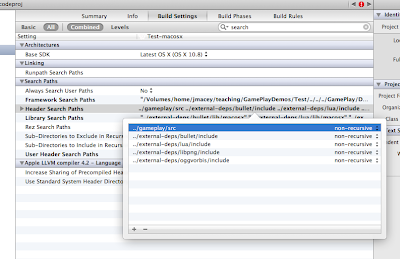 Gameplay comes with a newproject script that will copy a template project to a new location. 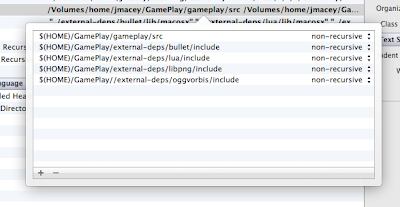 Again I have modified this to make it easier to create new projects in directories other than the main GamePlay one. Do this for every cp command in the script. 1. Enter a name for the new project. 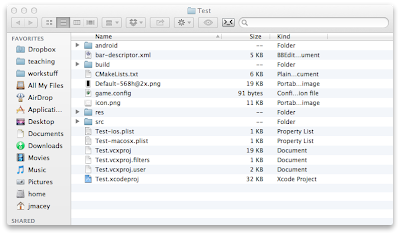 will be created to store all project files. 2. Enter a game title. 3. Enter a short game description. 4. Enter a unique identifier for your project. 6. Enter your game's main class name. this name will be created in these files. 7. Enter the project path. be created inside this folder. The program should now run and give you the following screen. 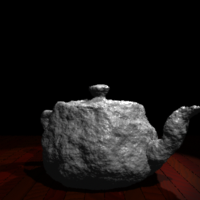 I will do some more blog posts soon on using the game engine with maya.